If you’ve ever wondered what it would be like to live at Lucero, perched above the clouds in the lush Boquete Highlands of Panama, here’s your chance to find out. 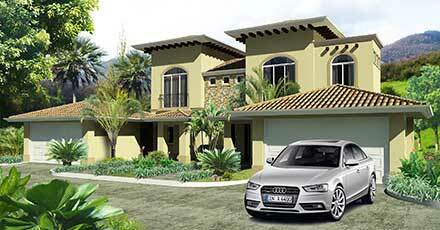 Lucero offers two stunning ways to sample life in this master-planned community. You can rent one of our luxury treehouses, or live like a true local in an exceptional Riverside Duplex Villa. Whichever you choose, you will never forget your time in this unique Panamanian setting. During your stay, you can enjoy the many amenities in the community. Get in a round of golf at our 18-hole championship course, play tennis on a classic clay court, or meander along the trails. Imagine waking up feeling like you’re floating in the sky with birds singing in their nests next to you and tree limbs arching over your bed. 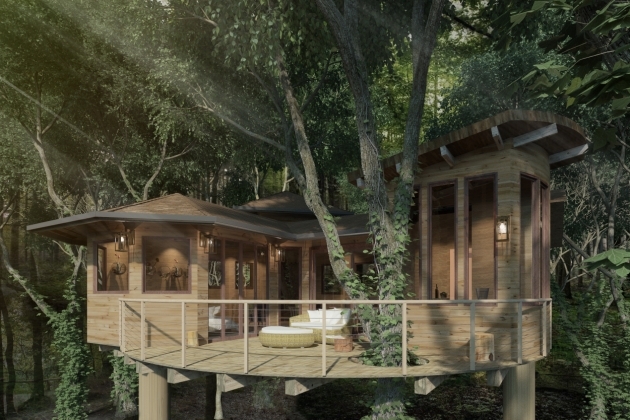 This is the experience of sleeping in one of our luxury treehouses. 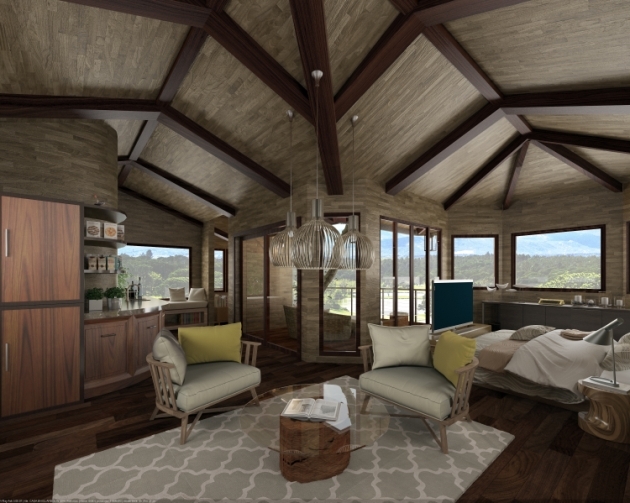 Perched 18 feet above the ground in the spreading branches of magnificent cloud forest trees, our treehouses offer 360-degree views overlooking the fairways of Lucero Golf and Country Club, the forests of Bruno Azul and all the way down to the Islands of Boca Chicas. On most nights, you can spot the Milky Way and various shooting stars from your patio, while you listen to the soothing sounds of the Aqua Blanca River below. A wooden suspension bridge leads to your luxurious retreat in the sky, and to a lookout point with a gas barbeque for the exclusive use of guests. Please call 507-730-8101 for rates and room availability. Rates are for two (2) people. Extra person: $50 per person – Maximum of four (4) persons per home. No pets allowed. Located next to the Aqua Blanca river, our stunning new Riverside Duplex Villas are exceptional two-storey homes with a spacious open-concept kitchen, living and dining room. Set on a large lot, every room has a view, whether it’s out towards the expansive greens of our bent grass championship course or over the rocky Agua Blanca river. We built all of our duplexes with floor-to-ceiling windows so wherever you are, cooling mountain breezes flow through and nature never feels far away. Book your Lucero living experience today!